If you are looking to invest in a copier and if you have a budget constraint, you may consider buying a used copier. Used copiers can add real value to your investment, helping you save money and increase your profit margins. Additionally, used copiers come at manageable fixed payment plans that remain unaffected by interest rates, allowing you to make the most out of cost-effective investments. Additionally, with used copiers being bank-owned properties, you do not need to raise fund to acquire the latest model or worry about your return on investment. Technology depreciates at a prompt rate, leaving you at a situation when you may have to re-think your investment plans. This is another reason why you may prefer a lease-hire agreement over the purchase option. 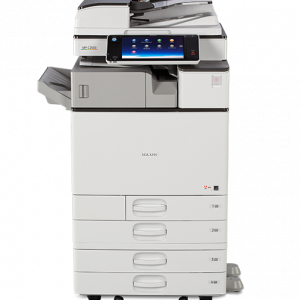 You can get a used copier installed appropriately and you may even get it replaced by the latest model at an acceptable cost. In a nutshell, you can use the latest copier without having to worry about depreciation of value or inflation. Newer versions of used copiers come equipped with multiple functionalities including copying, printing, scanning, faxing, and document management, allowing you to avoid the hassle of managing multiple IT equipment and to save money and office space as well. Interestingly, leasing a used copier translates into a tax-efficient investment. The price of used copiers is deducted as a business expense, which reduces your lease cost and overall tax burden at the same time. 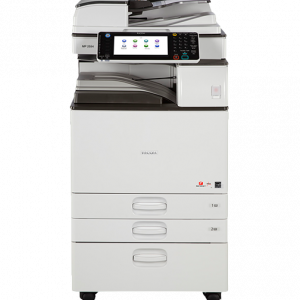 The latest models of used copiers come equipped with sophisticated technology that not only promotes superior functionality, but also provides a safe and secure way to store, access, and manage your documents. Sophisticated copiers are typically associated with low meter counts, which allow you to cut down on paper and toner costs. The modern breeds of Long Island Copiers come with advanced storage and document forwarding capabilities, allowing you to capitalize on the use of all-in-one solutions in the most convenient manner. In today’s difficult economy, saving a few pennies may bring a big difference. A new copier may be expensive, costing you thousands of dollars. A big investment may really impact your profit margin if you are struggling hard to earn the desired return on your investment. When you buy a refurbished and used copier, you make a smart choice. You will find it more cost-effective to bear the cost of replacing a worn part or a fuser unit or a drum than to pay thousands of dollars for a new copier. Think it over and make a choice.